Western Scaffold specialise in commercial and residential scaffold hire solutions for builders and trades with sites in Melbourne, Geelong, Ballarat and other regional Victoria locations. Our experienced and qualified team delivers unique commercial and residential scaffolding designs that not only meet legal requirements, but also provides the best access for your trades to work efficiently. We use a combination of steel scaffolding, Acrow Props and aluminium scaffold to solve even the most complicated access requirements on residential and commercial sites. Scaffolding rental rates are competitive at Western Scaffold, and we never compromise on safety. Every scaffold system we build complies with WorkSafe regulations to ensure your site is safe and legal. 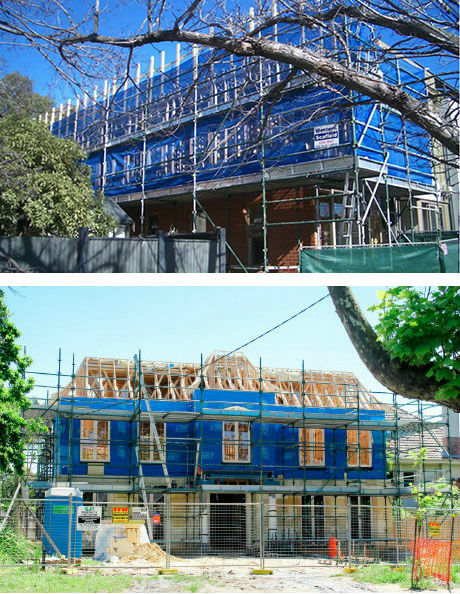 Western Scaffold works with hundreds of Victoria’s best builders including the award winning Porter Davis Homes and Carlisle Homes. 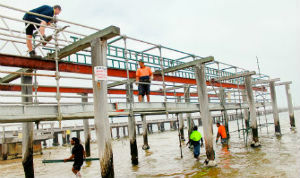 We pride ourselves on our high safety standards, exceptional customer service and competitive scaffolding rental rates. We know what our clients want from their commercial or residential scaffolding company, and have the expertise, experience and resources to deliver. We also supply scaffolding for sale including steel modular scaffolding components, Acrow Props, aluminium scaffolding and other related products. 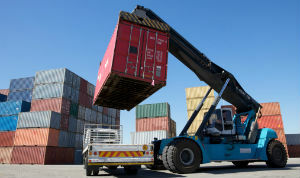 Container loads of scaffolding can be imported to any Australian port of direct to your door. In addition to exceptional savings, security features such as custom paint colours and stamped products are available for any imported order. If you would like to find out more on becoming one of Western Scaffold’s valued clients, call our Scaffolding Melbourne Team now on 03 8360 8047. Western Scaffold’s scaffolding hire service is available to all Builders, Trades and Owner Builders with sites in Melbourne, Geelong and regional Victoria. 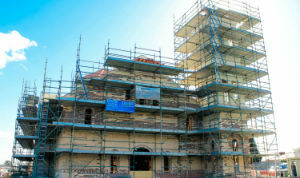 Western Scaffold will design, transport, install and dismantle the best scaffold solution for your building project. Western Scaffold will quote a Kwikstage scaffold system based on your upcoming project, budget or work with you to periodically build your existing Kwikstage scaffold stocks to ensure you receive the best return on your scaffold investment. We’ve compiled a helpful list of Frequently Asked Questions that might satisfy your curiosity. If you can’t find the answer you’re searching for, call our friendly staff and discuss how Western Scaffold can help you with your scaffolding hire and sales requirements.